The first shipment of hazardous goods ever handled and flown based on an electronic Dangerous Goods Declaration (eDGD) took off with flight LH8222 at Frankfurt last Thursday bound to Mexico City. It’s a unique pilot, testing the electronic transmission of DG data. If successful, it can be considered to be a quantum leap in paperless documentation of hazardous materials and goods, taking IATA’s e-AWB efforts to the next level. E-freight aims to build an end-to-end paperless transportation process for air cargo made possible through a regulatory framework, modern electronic messages and high quality of data, stated IATA back in 2004, when kicking off the paperless era in cargo. “Our mission is to take the paper out of the cargo by the end of 2010. This is more than just a change, it is an industry revolution,” enthused former IATA Director General and CEO Giovanni Bisignani at the occasion. Now 14 years and two IATA CEOs later, the situation is rather sobering since e-freight is still far away from being global standard in cargo transportation. Seen against this background, Lufthansa Cargo’s practical launch of eDGD declarations is all the more remarkable. “This underscores our claim to be the industry pioneer in digitization. There is still so much more for us to achieve here together with shippers, forwarders and airports,” said Soeren Stark, Board Member Operations and COO of the carrier. An effort that makes Lufthansa Cargo the first and up to now only airline to utilize the new eDGD standard, states the airline proudly in their announcement issued today (1 Sep). To allow the carrier to fly DG shipments paperless was preceded by linking their own IT system with the new platform named INFr8. Up to now, DG processes have been paper-based due to the lack of digital standards. DG Declarations on paper from shippers arrive at the airports together with the respective goods. Accordingly, airlines or handlers can only begin checking the documentation after handover. 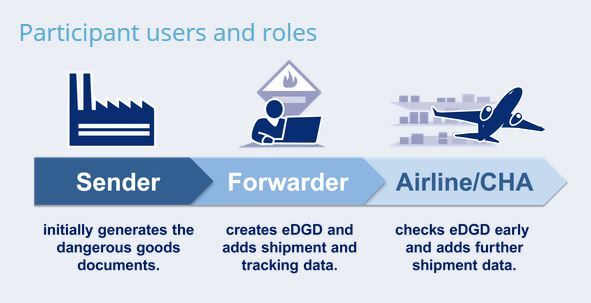 Thanks to the new portal INFr8, however, errors in accompanying documentation can be detected and ironed out before the airline ever receives the shipment. This will translate into fewer rejected shipments in the future. It will also mean faster processes and better use of resources, states LH Cargo. Developer of the scheme is Hamburg-based IT-specialist Dakosy who cooperated closely with LH Cargo and Frankfurt operator Fraport to set the scheme on track. 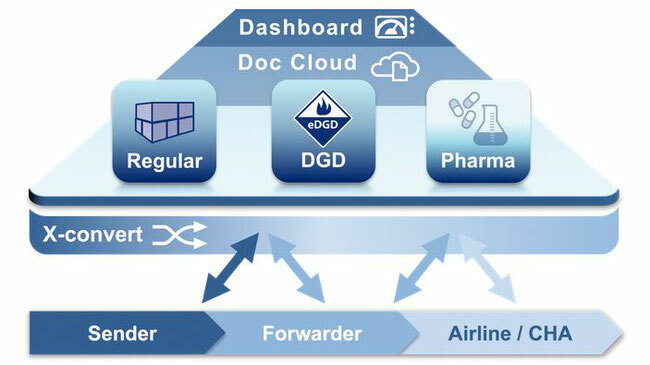 Of utmost importance is that shippers, ground handlers and forwarding agents are integrated in the eDGD initiative. In this particular case healthcare company Abbott GmbH & Co. KG, logistics player Panalpina AG and Fraport CargoService (FCS). This assessment is also shared by Ulrich Wrage, CEO of DAKOSY AG: “Our shipping portal INFr8 solves a major challenge in the air cargo supply chain, ensuring greater reliability and transparency for all. We are greatly simplifying processes across company boundaries,” stated the manager in reference to the launch of the pilot. By utilizing INFr8, the DG Declaration is digitalized and standardized and can be easily exchanged between companies. The conversion functions X-convert, Dashboard und Doc-Cloud offer the users helpful assistance (view graph). 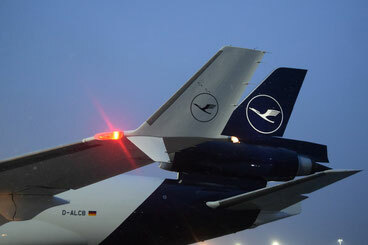 LH Cargo’s pilot is expected to last six months. After this, the platform will become a standard tool available to all market participants interested in using it. Simultaneously, the carrier has plans in its drawer to expand the portal by adding further product groups. Surely, IATA’s former chiefs Giovanni Bisignani and Tony Tyler together with the organization’s current CEO Alexandre de Juniac will love to hear about the launch of the electronic Dangerous Goods Declaration. Epilogue: The Lufthansa Cargo operated MD-11F with the hazardous goods on board arrived at Mexico City shortly before midnight last Thursday after stopping over at Chicago O’Hare.